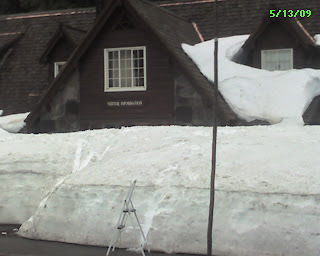 This is the visitor's center for Crater lake. Looks like it would be hard to go to work today. Tomorrow is not looking good either, because it is snowing. 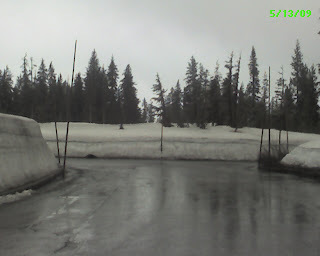 This is a picture of the parking lot for the visitor's center. 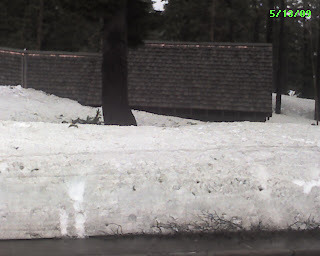 Notice the sticks on either side to help guide the snow plows. This gives more meaning to the snowmobile sign earlier.